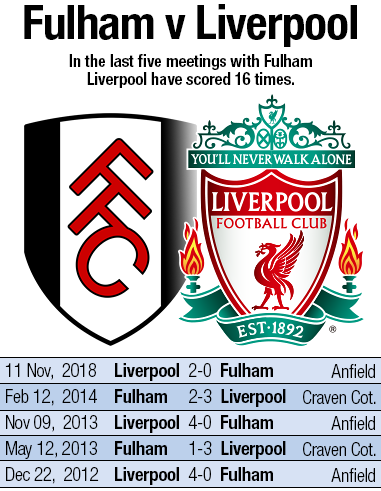 Stats: Can LFC extend Fulham winning streak to go top? Liverpool will go top of the Premier League on Sunday if they extend their winning streak against Fulham. The Reds have won each of the last five meetings with the Cottagers across all competitions - a new club record run versus the London side. Should Jürgen Klopp's men take all three points at Craven Cottage this weekend, they would move two points clear of Manchester City having played a game more than Pep Guardiola's side. Liverpool have won 17, drawn four and lost six of their 27 Premier League meetings with the Cottagers. At Fulham, the Reds have recorded eight victories and five losses - there is yet to be a draw at Craven Cottage in the Premier League era. Liverpool have kept 10 clean sheets in the last 17 meetings with Fulham home and away. Mohamed Salah is one goal away from scoring 50 in the Premier League in fewer games than any other player in Liverpool history. If selected, this would be his 67th game and the record is currently held by Fernando Torres (72 matches). Sadio Mane has scored four goals in his last three league games and eight in eight in the top flight. The Senegalese forward has moved to within one goal of Liverpool's top scorer Salah in both the league and all competitions this season. Mane has 16 in the Premier League and 19 in total. Eleven goals have been scored by Liverpool substitutes against Fulham. Only Stoke City (13) have conceded more to players coming off the bench for the Reds. Liverpool are four goals short of recording 400 under Klopp in all competitions - this is his 196th game in charge. After 30 games of a Premier League campaign Liverpool currently have their best goal difference (+51), have conceded the fewest goals (17), have gained the most points (73), and hold their joint-highest league position (second). A victory at Fulham will see the Reds beat last season's points total for the whole of the 38-match campaign (75). Their current tally of 73 beats their total in 18 previous complete Premier League seasons. 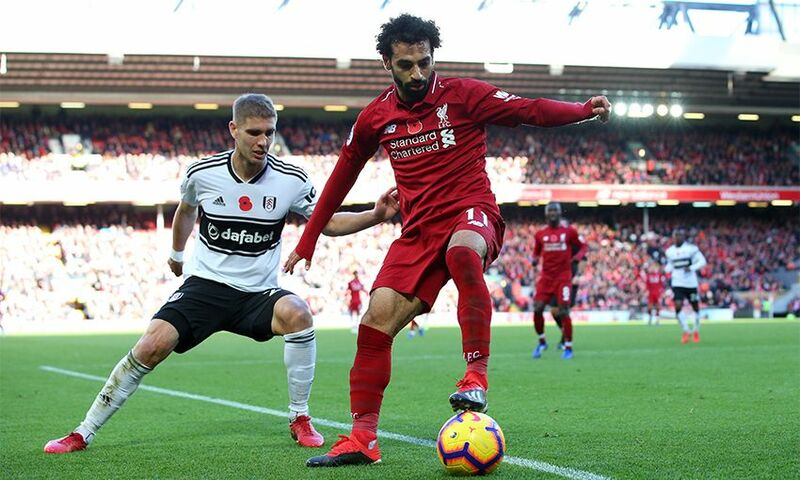 Liverpool have won the last two league visits and are looking to complete a third successive win at Fulham for the first time.